The Alberta Children’s Hospital Foundation raises funds for excellence in child health, research andfamily centred care. As the official fundraising body for the Alberta Children’s Hospital, all money raised by the Alberta Children’s Hospital Foundation is re-invested in the hospital and child health needs in this region. Through the generosity of our donors we are able to provide funding for family centred child health programs, specialized life-saving equipment and advanced pediatric research and education at the Alberta Children’s Hospital. The Alberta Children’s Hospital Foundation is honoured to work with the dedicated team of caring professionals at our hospital and even prouder to be part of a community that shares in the vision of a healthier future for our children. 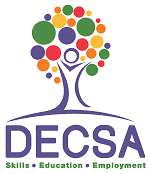 Distinctive Employment Counselling Services of Alberta (DECSA) is a community-based, non-profit charitable organization. Since 1977, DECSA has been offering programming, support and services to Albertans with barriers to employment, education and self-employment. Our programs provide services to the following clientele: Indigenous Peoples, Adults and Youth with Disabilities, Women Survivors of Domestic Violence, LGBTQ2S communities, Newcomers, Youth with Post-Secondary Education, Visible Minorities, Persons who have been Sexually Exploited, and Individuals with concurrent disorders and complex issues. DECSA demonstrates an openness to cultural and gender diversity, and a commitment to principles of social justice and equity. 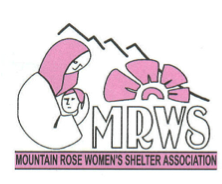 Mountain Rose Women’s Shelter Association (MRWSA) was incorporated in 1990 and since that time provides services to women and children who are in immediate need of safety and security due to domestic/family violence. Our Mission is to provide resources and support to individuals and families impacted by domestic violence in Rocky Mountain House and Clearwater County. Our Vision is to ensure the availability of 24 hour crisis intervention, domestic violence support, resources and accommodation, while promoting a non-violent society through prevention, education and awareness. MRWSA believes in a non-violent society in which women have both the freedom and the responsibility to direct all aspects of their lives: emotional, intellectual, spiritual, economic, and sexual. We believe that every individual has the right to a life free of abuse; society has a responsibility to provide safety from abuse; and education and treatment has an effect on reducing abuse. MRWSA is so much more than a roof over the heads of women and children; it is a lifeline for people in crisis.